As a professional photographer you generally shoot in your camera's RAW format to record all the data provided by the sensor and to gain more control of your pictures. 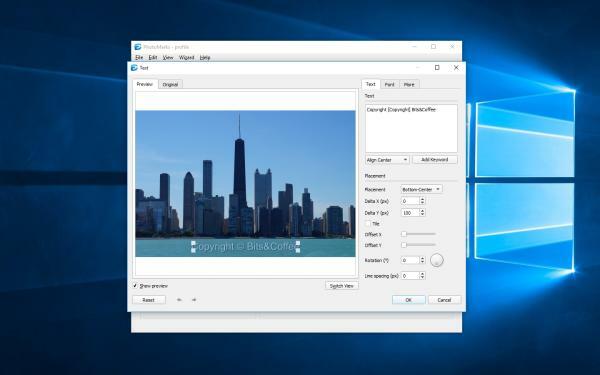 In order to perform edits like watermarking on your RAW files, you'll first need to convert them to a more popular image format. With a well-designed and easy-to-navigate interface, PhotoMarks gives users multiple options to customize their text and logo watermarks without losing quality. 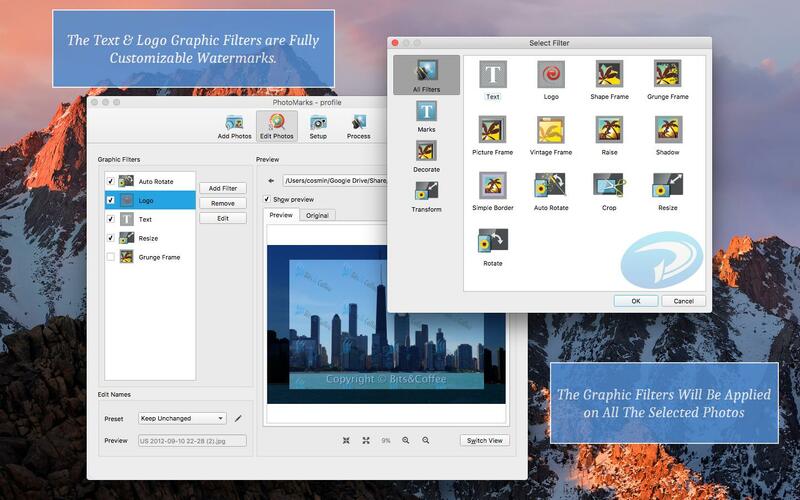 The program offers available previews for each step and a well-written tutorial. 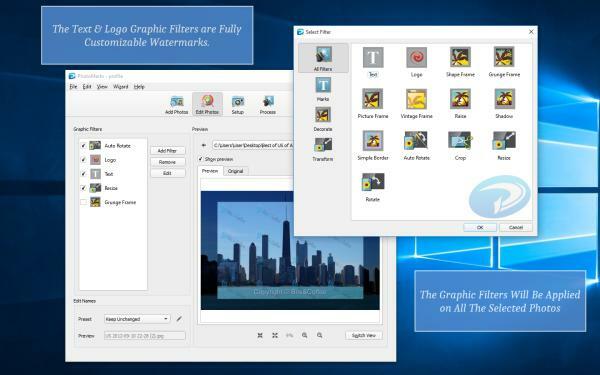 It processes images quickly and without any hiccups. One option would be to resort to the software provided by the camera's manufacturer, but the slow processing and lack of features may chase you away. Another alternative would be to use a more powerful editing tool capable of importing images in RAW format, like PhotoMarks for instance. 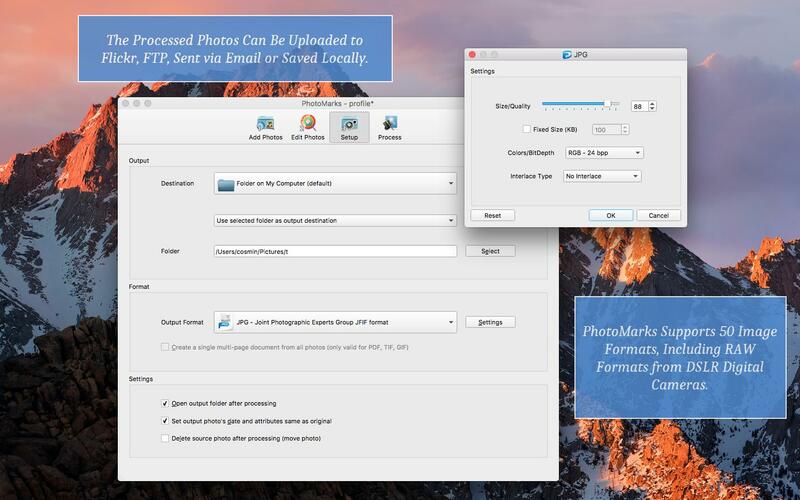 PhotoMarks has the ability to read and convert RAW images to JPEG, TIFF or other image formats, and apply fully customizable text or logo watermarks to them in the same session. 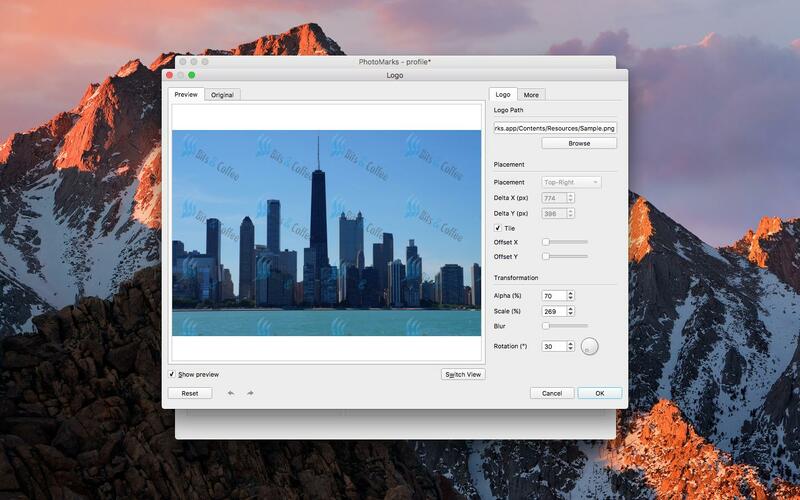 Besides being able watermark photos in bulk, the tool allows you to perform additional edits like Resize, Auto Rotate, Rename or Decorate your pictures with frames. Do you need a tool to convert RAW images? 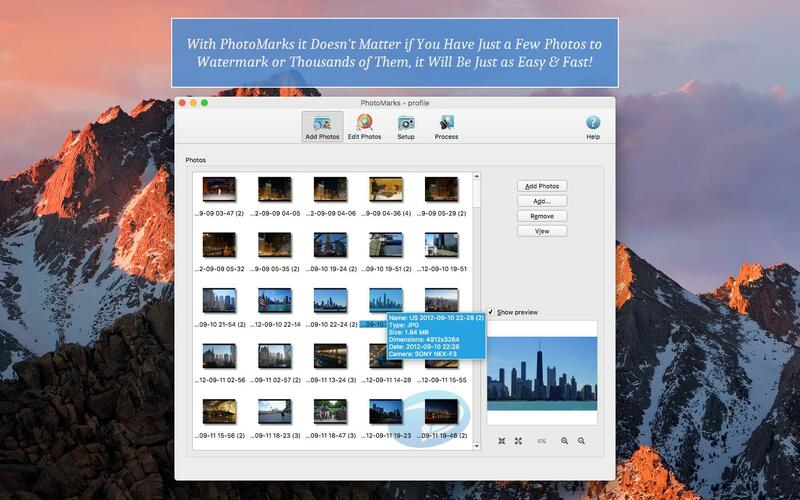 Try PhotoMarks for free right now! It does work… I decided to put a few thousand MRW and ARW (Minolta/Sony RAW format) photos threw both this and the batch photo editor. I can safely say I am thoroughly impressed with both the speed and the ease of use. This software wouldn't look out of place in any professional setup! 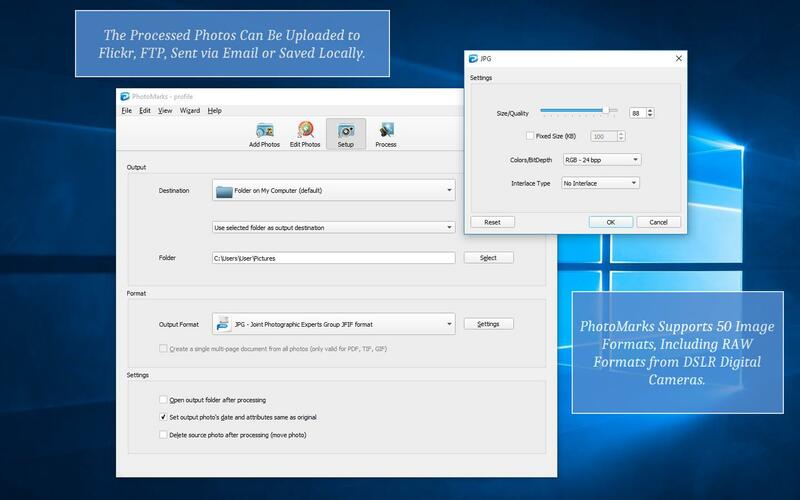 image watermarking in batch mode by following a three step wizard! 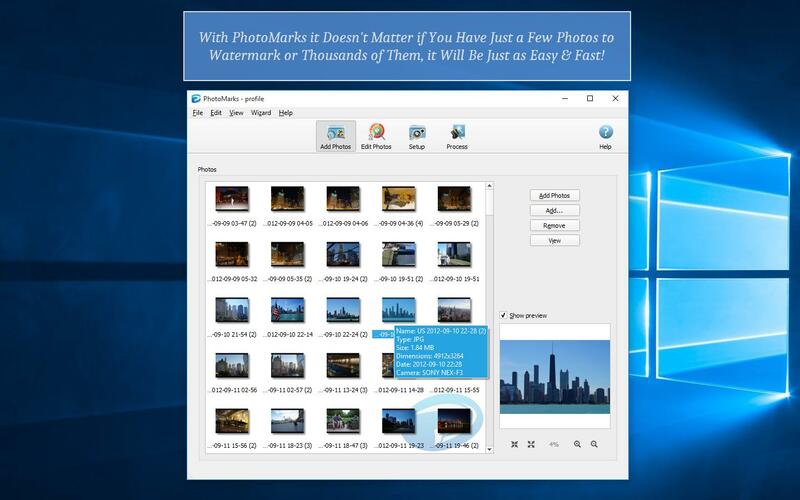 Note: PhotoMarks works on Windows® 10, 8.1, 8, 7, Vista, and XP as well as macOS® (OS X) Sierra (10.12), El Capitan (10.11), Yosemite (10.10), Mavericks (10.9), Mountain Lion (10.8), and Lion (10.7).